Katagiri’s ability to weave dharma concepts, illuminating nature analogies, and quotations from dharma literature into a fabric of simple declarative sentences often caused me to stop reading and go outside for a walk to try to absorb all that he was saying. On one such walk, I noticed the translucence of the tree leaves as the late afternoon sun shone through them. Standing among them, I was awestruck by the fantastically intricate stem, vein and cell structure that light, acting through photosynthesis, had created. I had felt the energy of Katagiri’s words physically move me out the door and into a perception of all the phenomenon of the natural world, which then helped me recognize my immediate experience of the dharma in the world. When you see the vegetable as an expression of the universal energy inhering in everything, there is a kind of inspiration that goes in and out between you and the universe…Then, when you look at a vegetable, you see many beings in the realm of the vegetable’s life. That is the real life of the vegetable—Buddha’s life, we say. Just sit right in the middle of zazen that is expressing aliveness in you, raindrops, trees, birds, and all beings. If you depend on dharma, pure energy will arise and appear in your everyday life…That energy gives forth its own light, shining from your whole body…So relax your frontal lobe, calm your mind, and practice dwelling peacefully in the dharma that is working deep in your own life. In the section, “History of Buddhist Psychology,” Katagiri describes the dynamic of energy of human consciousness, the role of all phenomenal existence as contributing to the potential energy of consciousness, and the creative force of karmic energy with which we live. As complex as these issues may be, Katagiri talks about them in terms that are clear and direct, and always with the intent to end human suffering—your suffering, and my suffering. There is a warmth and generosity in the accessible way he manages to connect these abstract concepts with everyday human pain. 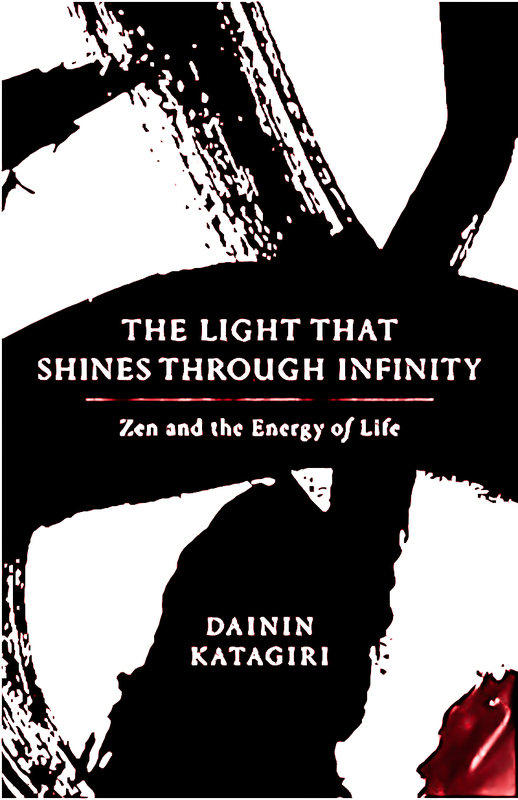 The Light That Shines Through Infinity shines brightly through this book. Richard Supperti, MRO, is a Student in the Mountains and Rivers Order living in Brooklyn, NY.